I will be in Vienna with my friend Tomek in ~ 19-21 of July. We just want to find someone who'll show us some dopest parkour places here and maybe also sleep us? Is there someone here? 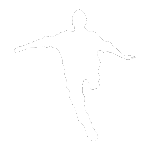 I can offer a lot of big jumps, humour, positive energy and good conversation about parkour.